advanced. There are several stages of periodontal disease, and it begins as gingivitis. it is something that is reason for concern. Patients who are bleeding when they brush and floss need to see their dentist, as this is the earliest stage of periodontal disease. As the disease progresses, it can cause irreversible damage to the mouth. The gums will begin to recede from the teeth, leaving "pockets" where bacteria can grow and develop. The bones under the gums can disintegrate, resulting in the loosening of teeth. Root decay can cause cavities that may require the extraction of teeth. 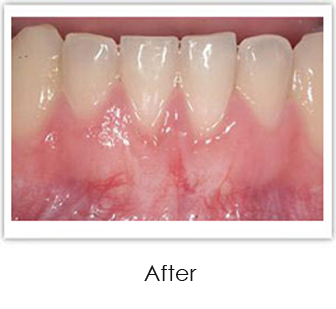 Periodontal disease can cause the loss of gum tissue, bone density, and teeth. 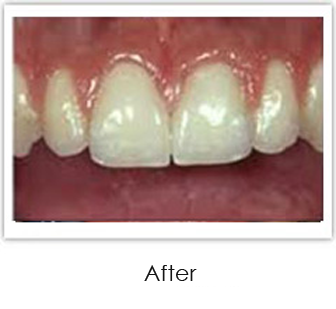 Extensive dental treatment may be needed to restore the smile. 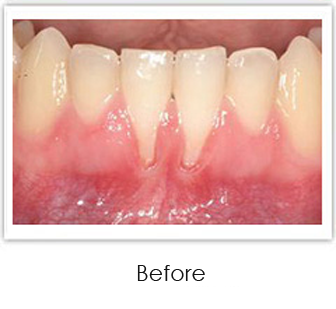 At this stage, periodontal disease is no longer curable, but it is manageable. Serious treatment will be needed to halt the progression of the disease and damage to tissues. 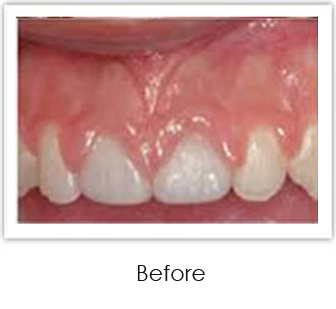 A combination of treatments such as pocket reduction, bone grafting, gum grafting, and other procedures may need to be done to improve the appearance of the patient's smile and address the disease itself. These procedures can be expensive, which is why it is essential for patients to take good care of their oral health from the beginning to deter this disease from taking over their dental health and affecting their smile. Vanguard Dental and our in-house Periodontist are pleased to offer several periodontic treatments, along with restorative and cosmetic procedures to assist those who may have been affected by periodontal disease. Thanks to improving technologies and advanced techniques, dentists have a variety of ways to treat oral problems with many dental procedures and materials. Call Vanguard Dental today if you are concerned about your oral health and feel as though you may have periodontal disease. Early diagnosis and treatment will provide the best results.